So...it started off on a warm humid Saturday afternoon where I was completely not in the mood simply due to Mother Nature and generally feeling tired but Moon convinced me otherwise. Figured that it would be a nice girly outing and spend some time with 1 of my besties too! So we arrived at the Music Village at 3pm, where the pre-party was in full swing! They had a Zumba session at 2.30pm and the music was blaring out loud. Everyone was really pumped up and I too started getting into the mood after seeing people walking around with inflated guitars and microphones. Immediate reaction: I WANT!!! So yes, we got our hands on said inflatable guitars and microphones, which led to a series of photos where we hammed things up. 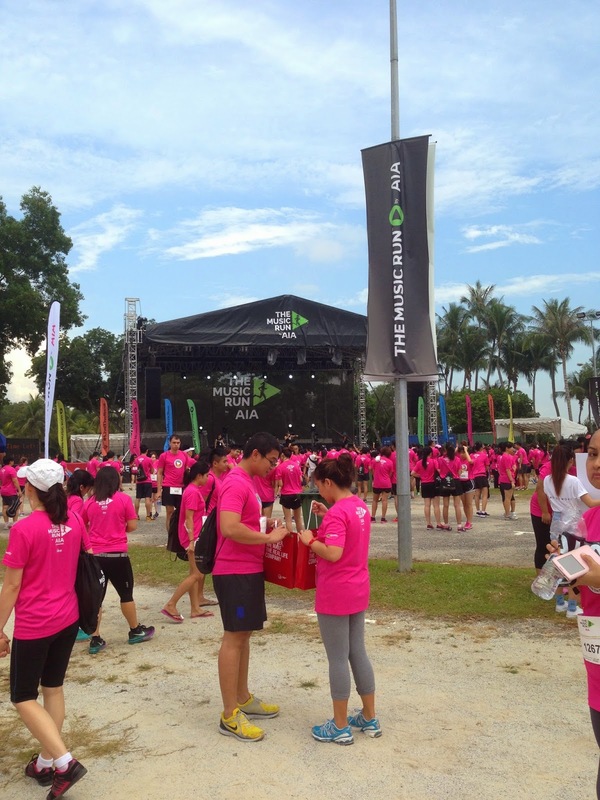 These activities were seriously encouraged by the organisers. Great freebies, by the way. Fits right smack into the whole Music Run theme. I also loved how the Start and Finish 'gates' were giant headphones! Really apt and got us more into the hyped up mood. 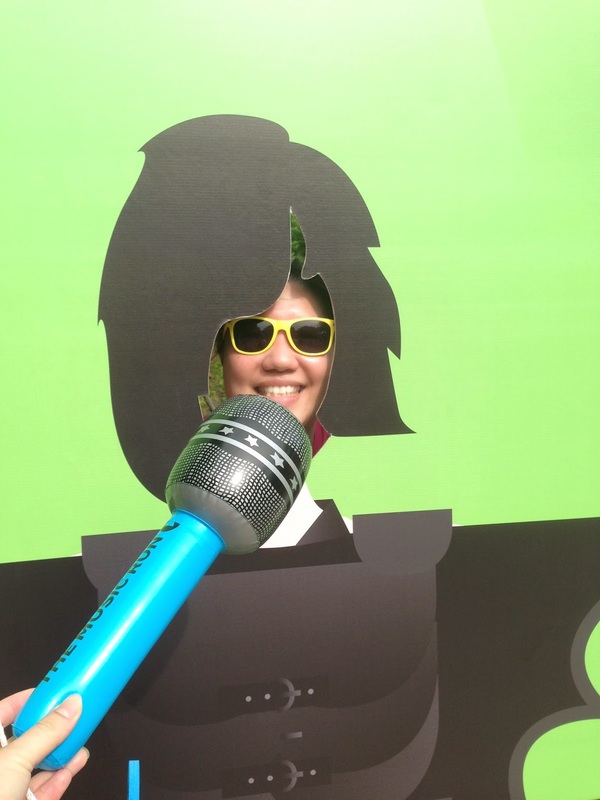 Of course, I couldn't help the event organiser part of me where I started guesstimating the cost of this event (I reckon S$30k) plus the number of licenses required. 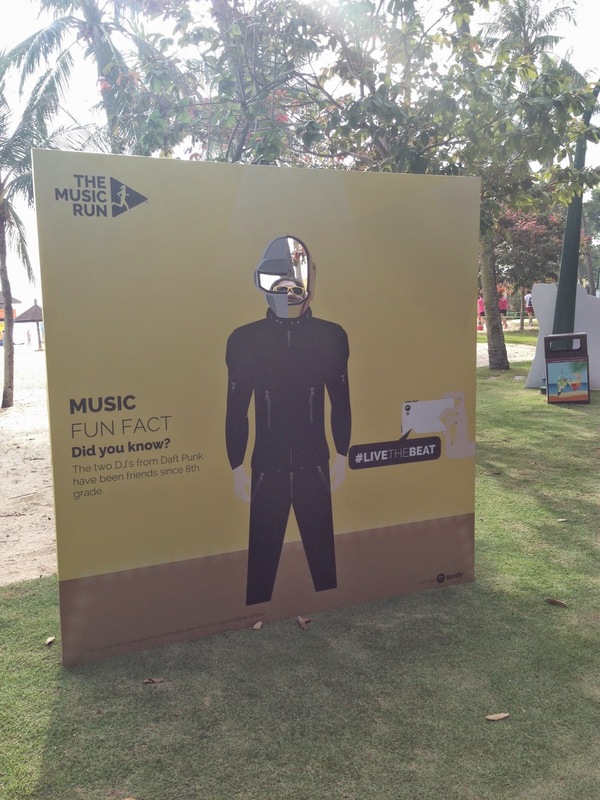 The whole 5km was divided into different zones: Rock, Pop, Retro, Dance and Hip Hop. It went into a loop and the whole run was really an excuse to enjoy loud music while taking lotsa photos and reading interesting music related trivia. 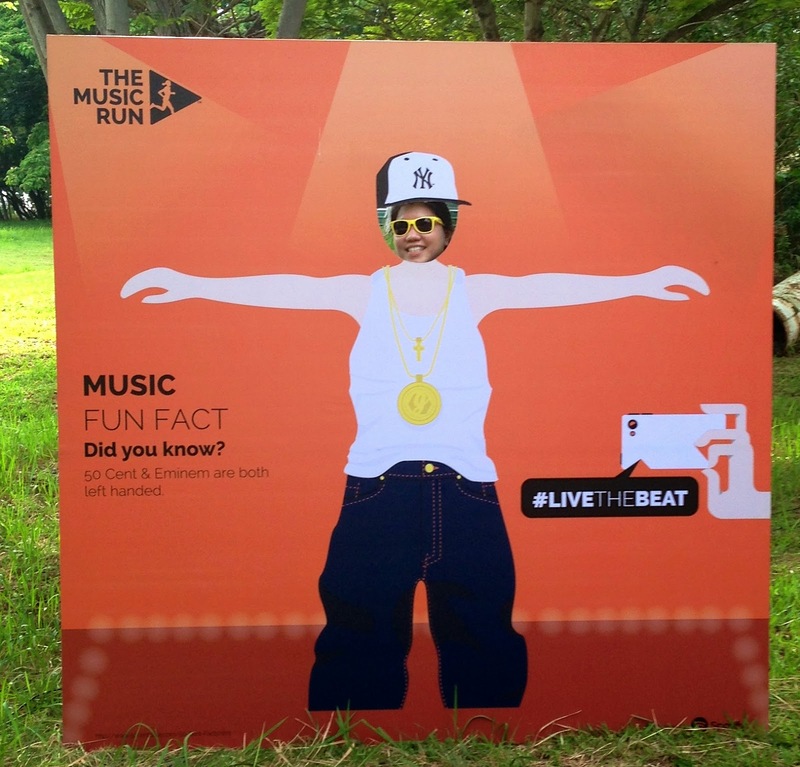 At the end of it all, we had our medals to prove that we #LiveTheBeat and had completed The Music Run! 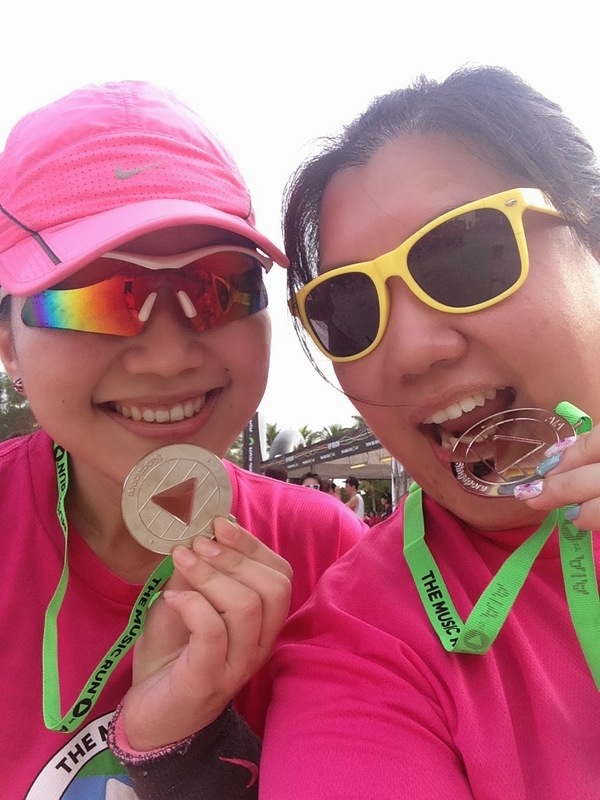 It really was a fun event that reminded me a little of Illumi Run except that due to the narrow lanes, it didn't feel as 'clubby' and 'dancy' as Illumi Run. It was really well organised and I liked how everything ran really smoothly without any noticeable hiccups. Kudos to the team and am looking forward to the next Music Run! !